Phosphorus is an essential element for animal health and optimum productivity in livestock farming. A mineral phosphorus supplement needs to be added to animal feed rations (for shrimp, poultry, swine and ruminants) in order to improve weight gain, milk production, bone mineralisation and reproduction. 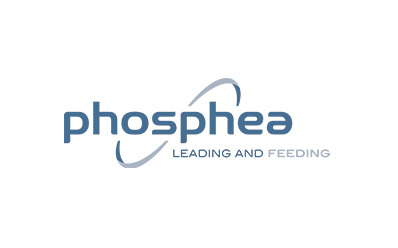 An active presence in the market since 1976, Phosphea produces and markets raw mineral materials to industry operators in the Animal Nutrition sector. The inorganic phosphate factory in Saint-Malo (Brittany, France) remains the only one of its kind in France. Having built two factories in Gabès (Tunisia) in 2003 and 2008, Phosphea went on to acquire the phosphates business of Groupe Ercros. The sites in Flix and Cartagena bring the company's total production capacity to 770,000 tonnes. This acquisition makes Phosphea Europe's largest operator in the sector, and third largest in the global mineral phosphates market. Phosphea strength also lies in its organisation, with a business model based around direct sales to the end customer. Our 50 sales agents are based all over the world. Our team is made up of expert nutritionists and a Quality & Regulatory department, who provide daily support for product and market development. In addition, Phosphea benefits from the innovation expertise of its researchers and engineers, enabling it to respond appropriately to both local and international challenges. This organisational model enables the company to foster closer relationships with customers and provide targeted technical support. In a commodities market, our highly diversified product range allows us to adapt to the particular issues experienced by our customers and the challenges specific to their industries. Thanks to our capacity for innovation, as well as the physical proximity, expertise and responsiveness of our teams, we are able to support our customers to identify their growth potential. Phosphea offers an unprecedented range of calcium phosphates capable of meeting the nutritional and health needs of livestock. The historic factory in Saint-Malo (Brittany, France) produces our entire range of monocalcium phosphate, anhydrous dibasic calcium phosphate, and monodibasic calcium phosphate, as well as two speciality products: Mag26 magnesium phosphate and Néophos, which was launched at the end of 2013. Gabès I and Gabès II are the largest facilities, with a combined production capacity of 270,000 tonnes of monocalcium and dibasic calcium phosphates. Flix is devoted to the production of dihydrate dibasic calcium phosphate, while Cartagena produces monocalcium phosphates. All our factories are certified by the ISO and FCA (Feed Chain Alliance, formerly known as the GMP OVOCOM). Phosphea is a company that specialises in the production and processing of phosphates for Animal Nutrition, producing food products for animals as well as premixes. The company also provides customers with a wide range of innovative solutions, responding to highly diversified animal needs.